With the year drawing to a close, it is the end of the performance and the curtains are slowly being reeled in and you take a bow, we tend to get a little anxious. Somewhat reflective and relieved but also anxious. Questions start clouding your head: was it a good show? Did I do the role justice? Did the people enjoy the show? Will I get a bonus for all of my hard work? What am I going to do after the show? This year was no dress rehearsal but an actual show. The grand finale. Just as every other year. So, as we are reflective, we are going through the year’s ups and downs. The changes. The changes that need to occur. Not next year but right now. There are no resolutions in my life but goals and wish lists. The astounding thing is that looking at the start of my 2018 journal, I had written a wish list. A list of ten things. I did not realize it but I have accomplished all but one item on that wish list! I thought the year was pretty mediocre until I actually looked through my notes, journals, and lists (because we know I love a good list). So with all that said, it’s also okay that you have not ticked everything on your list! Anyway, this is about a list that I have never really done. A list of things that make me happy. I often use the word content instead so this made me really think long and hard. I remember thinking, “There is no way I will find 50 things that make me happy — not while I am in this rut,” when I was still trying to figure things out. This list made me realize how fortunate I am, too. It’s true that it’s the little things, eh? Perfectly scrambled eggs on toast. Reading a good book that putting it down leaves you with a bit of FOMO. The Triends – the family meetings will always be cherished! Family – we were once the sisters of darkness! Laughing til my stomach hurts. My friends, I have a small circle and we don’t talk all that much but I love them to the ends of the Earth. Wearing house socks and convincing people that house socks are the future. Coffee. Nothing says come hither than a good cuppa Jo. Travelling to new places or even old, familiar places. Accomplishing something I thought was nearly impossible. Handwritten letters! What’s your address, I’ll send you a postcard!! Watching Something New, Under the Tuscan Sun, Pride & Prejudice, and the Holiday over and over again! 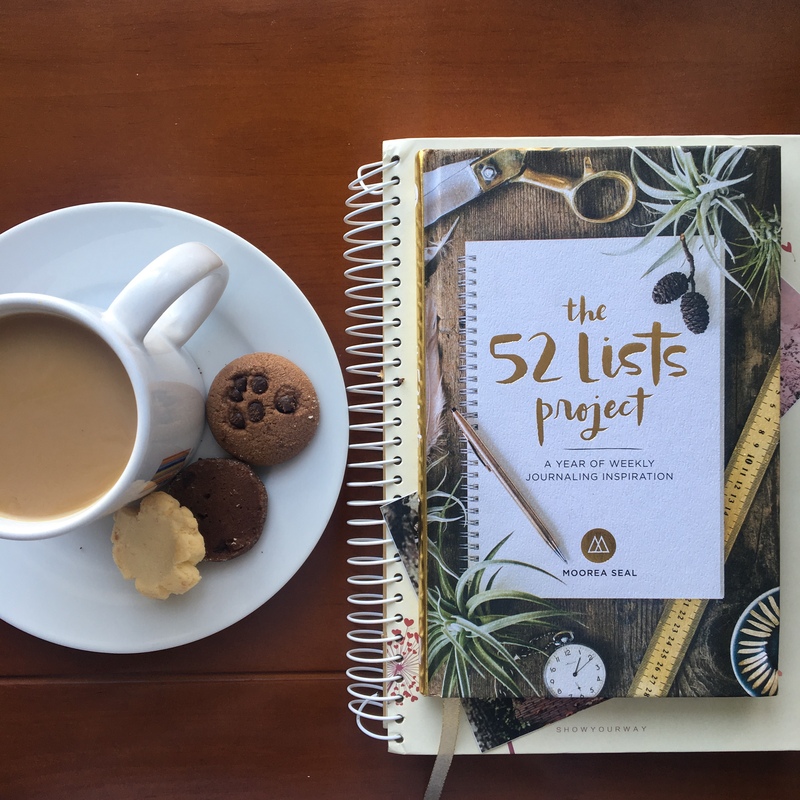 Writing lists; shopping lists, to-do lists, goals lists! Waking up without an alarm clock…before 7am! Buying pretty notebooks and stationery. Learning a new skill – sewing, knitting, photography, etc. Taking beautiful photos. Yes to the bangers! Animals! Seeing animals in their natural habitat. Also, dogs! Who doesn’t like dogs?! Driving on the freeway singing at the top of my voice. Running. I always hate it at first but that feeling during and after…now that makes it worth it! Cooking! Especially a variety of cuisines. Cleaning and having a clean home. The smell of lemongrass everywhere! Good food and wine combo! Yes, I am a foodie that never uses technical terms because I don’t know them. I guess I just like to eat and drink! Candlelit baths with wine and a good ol’ homemade bath soap. Diffusers! Playing around with essential oils is the best! Sunrises and Sunsets! African (Durban in particular) sunrises! Living Sustainably, well trying to. My health and well-being. Knowing that my family is healthy also makes me happy. Dancing. Alone. In the kitchen. While I cook. Laughing at my own jokes. There are hundreds of things that make me happy. The list went on and on! I assure you, once you start, you won’t stop. Instead of panicking about how this year has gone by, write down a list. This is when you realise that there is a lot to be thankful for. I think “50 things that make you happy/50 things that you are grateful for”, same, same! Your thoughts? What are some things that make you happy? If you happen to compile a list, feel free to send photos and links! It’s the little things in life that make the difference.